SKAMPI - regulated by NALS & PROPERTY OMBUDSMAN Initiated in 1997 and providing a professional, fast and knowledgeable service to all our clients A proactive family owned business situated in the heart of London Docklands. We have a long and established history in successful property sales & letting in and around London. Passionate about property, committed to our clients and wish to exceed their expectations. Entire London is covered for sales, management and maintenance of residential prop Read full description...SKAMPI - regulated by NALS & PROPERTY OMBUDSMAN Initiated in 1997 and providing a professional, fast and knowledgeable service to all our clients A proactive family owned business situated in the heart of London Docklands. We have a long and established history in successful property sales & letting in and around London. Passionate about property, committed to our clients and wish to exceed their expectations. Entire London is covered for sales, management and maintenance of residential properties. Communication is key to our success and whatever your property requirements we invite you to talk to us in confidence. Our team of dedicated individuals will assure you of their finest attention. Our fees are highly competitive transparent and tailored to suit all individuals - Our hours of business are extremely flexible ranging from early morning to late evening appointments. Sunday viewings and meetings are welcome. Our marketing is aggressive and effective allowing a fast turnaround for all properties. I think the fees involved were fair and enough for the property. Very good. I was pleased that the Agent's fees weren't expensive like Foxtons. Very pocket friendly and reasonable fees! Fees are pretty standard and not overpriced. Higher than they should be but thats more general to the industry. Skampi are probably cheaper than most. 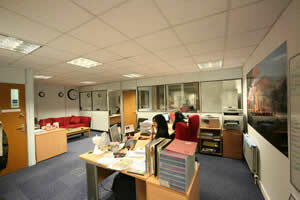 Any additional tenants thereafter are charged at £65.00 per person. In the event a tenant requires a guarantor, there is an additional fee of £100.00 to reference this applicant. Should there be an exchange of tenants, a fee of £275 inc vat is payable by the incoming tenant. This tenant will be referenced first and their report will be required to pass all checks before we can add them onto the tenancy agreement. Please call our office for further guidance on this subject. Skampi do not charge renewal fee’s. This fee is payable by the tenants prior to moving into the property. *All charges are inclusive of vat.